A Hawick man has admitted assaulting a man with severe learning difficulties at a Galashiels superstore. 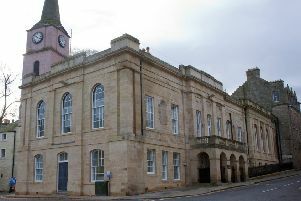 John-Paul Weldon, of Melrose Court, pleaded guilty at Selkirk Sheriff Court to repeatedly tripping up his victim, causing him to fall to the ground, putting him in a headlock and kicking him on the head to his injury at the town’s Tesco, in Paton Street, on February 5. The 27-year-old also admitted struggling violently with two police officers at the nearby Asda, in Currie Road, later that day. Sentence was deferred until May 23 for the production of background reports.